While the Nitro derives much of its appeal from its bold exterior styling, it still offers all the versatility of a typical compact/midsize SUV. Looks like a jeep and costs less! The Nitro is a good little SUV. It mimics a jeep in looks. I love the way it drives and that it is 4 wheel drive. It however is not spacious. If your looking for room this is not the vehicle you need. It's a good day driver not bad on gas and has cruise control. You can control the radio with buttons on the wheel and that's handy! Mine also has an outlet on the back on the center console, which has been handy for charging devices. It's very compact and has quite a few blind spots, so you really have to pay attention when driving. Dodge nitro: a car to love or hate. The vehicle runs very smooth and fast. I love how comfortable it is. Also, very convenient, it has a lot of space in the back when the back seats are folded down. The car fits anywhere because it is just the perfect size. Unfortunately, I been having a lot of trouble with it in the past few months. It has overheated, left me in the middle of the street, randomly turns off and the a/c always has issues. Even though I have had it fixed many times I have problems with it. The car works fine until these issues occur spontaneously. 2007 Dodge nitro sxt 6 speed review. It's a very reliable car. Very roomy and rides comfortably. Has good power and accelerates good. Has a lot of good features like towing package, power windows, tilt wheel, power door locks, CD player with AUX and phone capabilities. Comes with 17 inch alloy wheels. Handles and corners well. If there was anything I'd change it have leather interior, with power seats, heated seats, Bluetooth capable radio, and a beefier engine like the 5. 7l hemi engine. ON CERTAIN VEHICLES, THE TOTALLY INTEGRATED POWER MODULE (TIPM) WAS PROGRAMMED WITH SOFTWARE THAT MAY ALLOW THE ENGINE TO STAFF UNDER CERTAIN OPERATING CONDITIONS. DEALERS WILL REPROGRAM THE TIPM. THE RECALL BEGAN ON JULY 5, 2007. OWNERS MAY CONTACT DAIMLERCHRYSLER AT 1-800-853-1403. ON CERTAIN SPORT UTILITY VEHICLES, THE SOFTWARE PROGRAMMED INTO THE ABS ELECTRONIC CONTROL MODULE MAY ALLOW A MOMENTARY DELAY IN BRAKING WHEN COASTING UP A HILL DURING CERTAIN CONDITIONS. DEALERS WILL REPROGRAM THE ABS ELECTRONIC CONTROL MODULE WITH NEW SOFTWARE THAT PREVENTS THIS CONDITION FREE OF CHARGE. THE RECALL IS EXPECTED TO BEGIN DURING OCTOBER 2007. OWNERS MAY CONTACT CHRYSLER AT 1-800-853-1403. 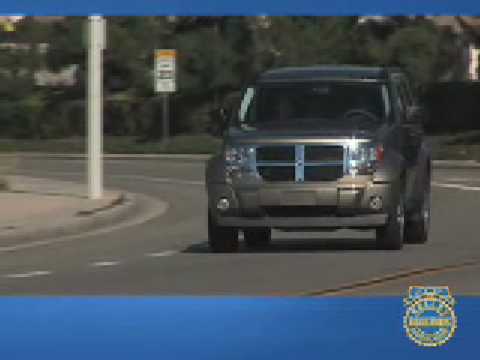 CHRYSLER IS RECALLING CERTAIN MODEL YEAR 2007 DODGE NITRO PASSENGER VEHICLES. THE WINDSHIELD WIPER SYSTEM MAY EXPERIENCE A CONDITION OVER TIME WHERE HIGH USAGE OF THE VARIABLE PAUSE WIPER FUNCTION (DELAY MODE) MAY EVENTUALLY AFFECT PRIMARY WIPER FUNCTION, RENDERING THE WIPER SYSTEM INOPERABLE. INOPERATIVE WIPERS UNDER INCLEMENT WEATHER CONDITIONS COULD CAUSE IMPAIRED VISIBILITY INCREASING THE RISK OF A CRASH. DEALERS WILL INSPECT AND ADD EXTERNAL RELAYS AND UPDATE THE TOTALLY INTEGRATED POWER MODULE SOFTWARE TO CONTROL THE WIPER FUNCTIONS. THE SAFETY RECALL IS EXPECTED TO BEGIN DURING NOVEMBER 2009. OWNERS MAY CONTACT CHRYSLER AT 1-800-835-1403.